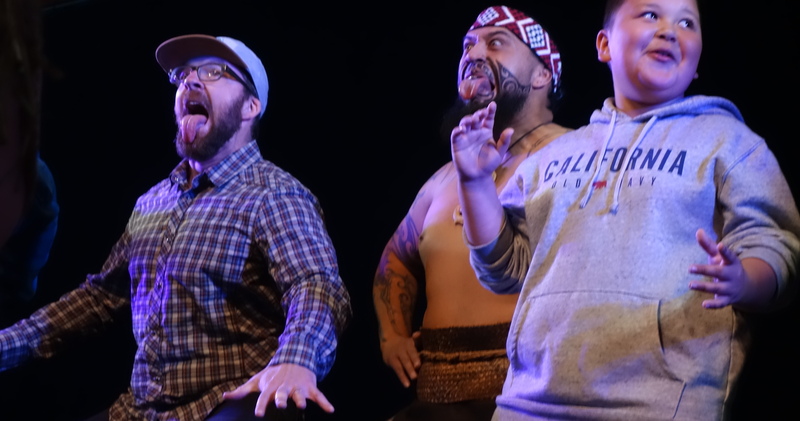 These warriors brought the Haka, tattooing, and endless laughter all the way over from New Zealand. 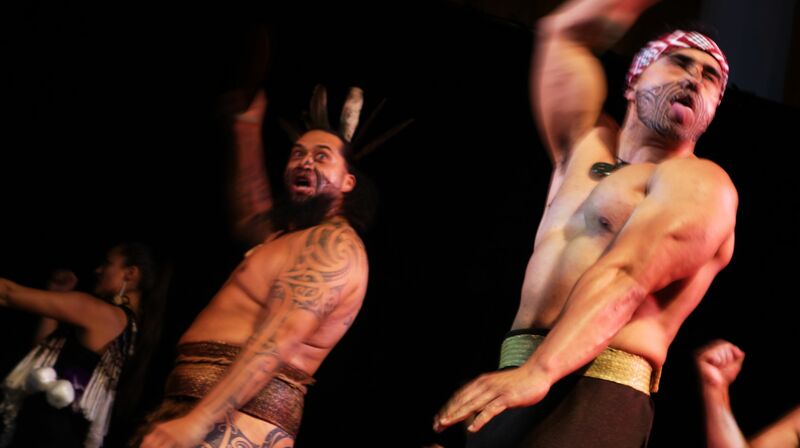 Thanks to Adäka and this team of Maori superstars, I finally got to see a live Haka! It was pretty 'mean', as my NZ friends would say. It was such a gift to have this group of men and women from so away, and they certainly brought their A-Game. 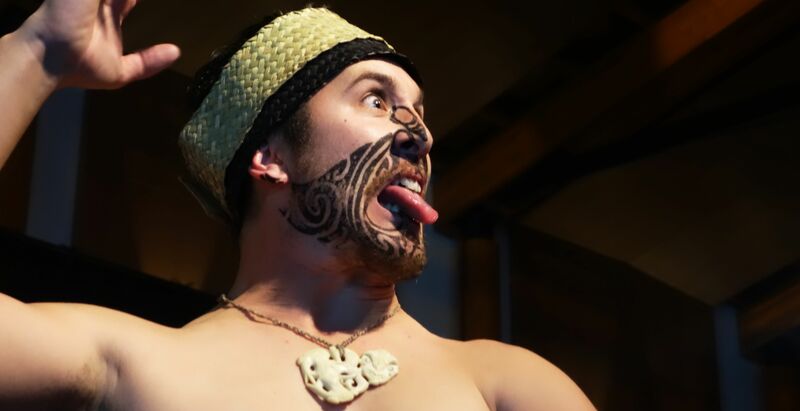 The Maori were active throughout the entire festival boat making, performing and tattooing. 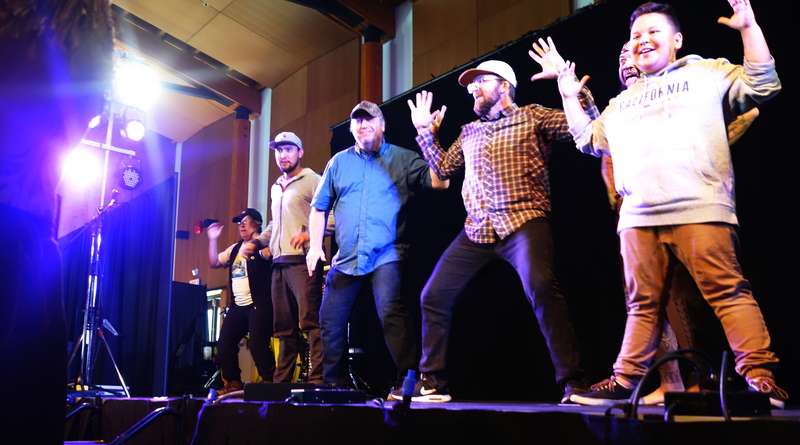 The crew was incredibly generous, and on numerous occasions invited audience members on stage to practice their own Haka moves! I really loved watching the Maori women perform the haka. Their energy and fierce beauty was explosive, and that proved to be true off-stage as well. 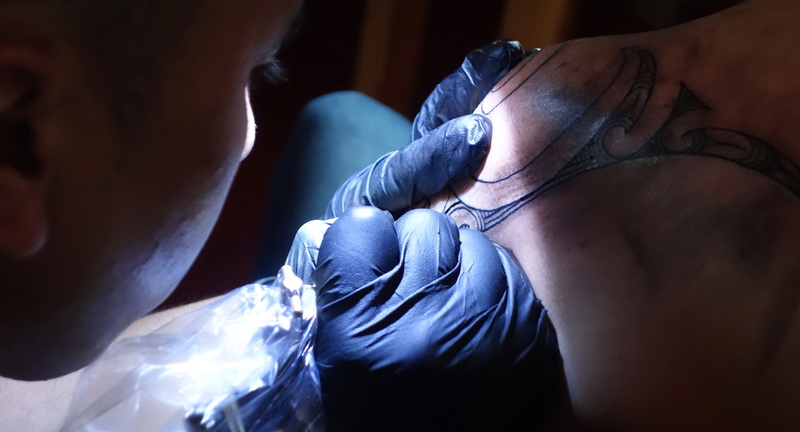 Traditional tattoo artist Te Wehi Preston was booked all week long. Unfortunately I missed the boat and was stuck on his waiting list. Here he is doing beautiful work on Chelsey June from the band Twin Flames.